Note: The two courses above cover Unitec systems but not Microsoft Office. For free Microsoft Office training see FREE4U and FreeB courses. You can now book one of the Library's group study rooms via the online booking system using your Unitec username and password. Simple! It’s a 100% self-service system where you can book, modify or delete your own room booking. The study rooms will remain unlocked (except in Building 1), so just show up at the room at your booking time. For Building 1, ask for access code from the staff at the B1 desk. Main Library: 7 rooms in various sizes. Room 1 holds 8 people, the rest 4-6 people. All rooms have a white board and some of them have TV with built-in DVD player, TV with built-in VCR player or wall monitor TV screen. Language Learning Centre (also inside the Main Library): 3 rooms all with a white board for up to 4 people. Please note: these rooms are only bookable after 4:30 pm Monday-Friday and during opening hours on weekends. Building 1: 1 room for up to 8 people, with a whiteboard, TVs with built-in VCR players, and a DVD player. Waitakere library: 1 room for up to 10 people. It has a wall monitor. What are the booking limits? You may book up to 2 hours per group per day and have one outstanding booking any time. Multiple bookings will be deleted. Please be considerate and vacate the room on time, leaving it tidy. Book your group study room by logging in now or contact the library. Unitec is now a member of BioMed Central an open access publisher. 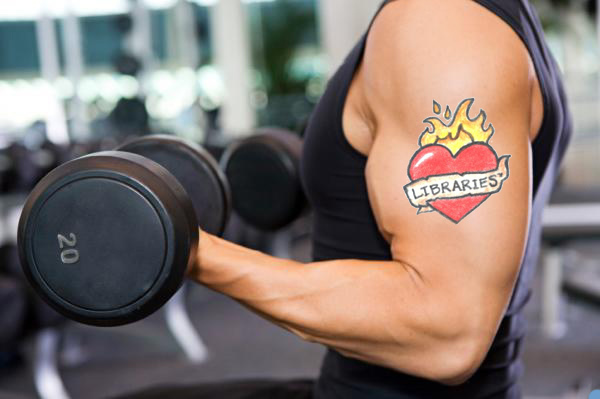 The library has negotiated a deal with them to allow widespread dissemination of academic research. Staff can publish with BioMed Central, SpringerOpen and Chemistry Central with a discount on the article-processing charge. There are over 400 peer-reviewed journals to choose from. 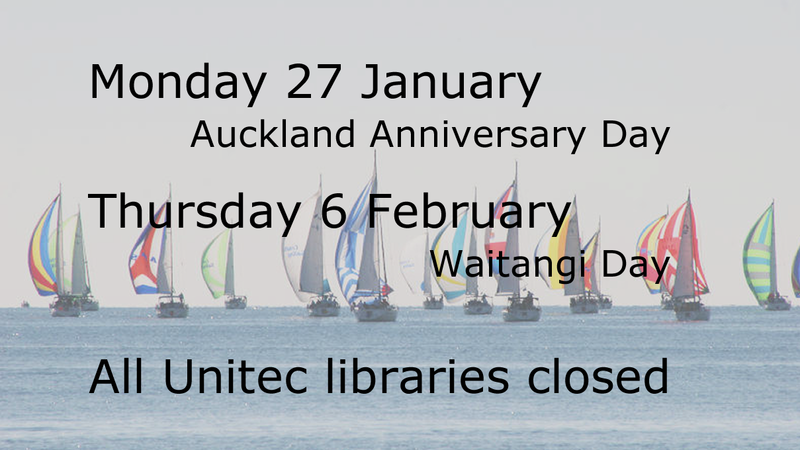 All Unitec libraries will be closed on Monday 27 January. This public holiday celebrates Auckland Anniversary Day. Please check the opening hours on our library website. 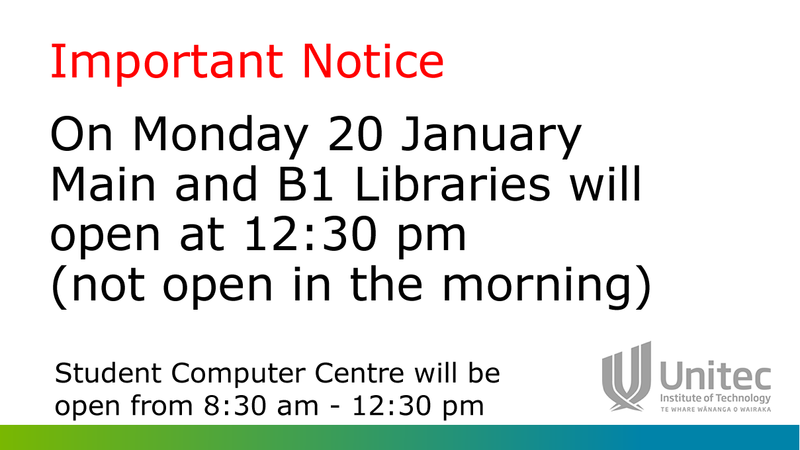 On Monday 20 January 2014 the Main Library (B110) and the Building One Library (both on the Mt Albert Campus) will open at 12.30pm. They will not be open in the morning. If you are a Unitec student and need to access a computer or printer during this time please use the Student Computer Centre in the hub (near the coffee kiosk), which will be open from 8.30pm - 12.30pm. The reason for this short closure is that all Library staff are attending an important meeting at this time.